Kay Rogers Park is located on Midland Ave in Fort Smith, AR. There are approximately 1000 parking spaces available. 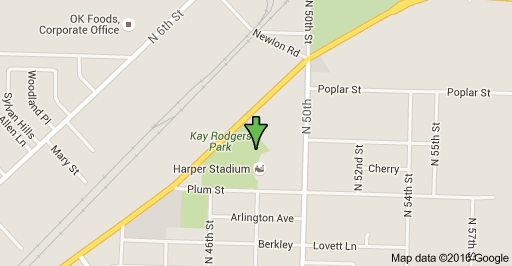 Kay Rodgers Park is less than two miles from Interstate 540. Fort Smith is located on the Arkansas Oklahoma border. The city is just south of Interstate 40 and connects to that Interstate via Interstate 540.